Parks director Jesse Bridges, left, and Mayor Miro Weinberger get a skateboarding lesson with their daughters. If you have plans Saturday, you probably want to cancel them. Seven Days has learned that Burlington Mayor Miro Weinberger may be making his public skateboarding debut. At noon that day, Burlington’s new waterfront skate park is being named in honor of the late Andy “A-Dog” Williams. A skateboarding competition is taking place as part of the ceremony. It appears that in between drafting next year’s budget, overseeing the massive redevelopment of the Burlington Town Center and taking care of other city business, the mayor has been squeezing in early morning training sessions. Around 7 a.m. Tuesday, a cyclist spotted the mayor shredding solo at the skate park. Burlington resident Nik Ponzio reports that Weinberger was not sporting his usual suit and tie. He was, however, wearing a helmet. During a later interview, Weinberger confirmed that he had indeed been at the skatepark Tuesday morning. 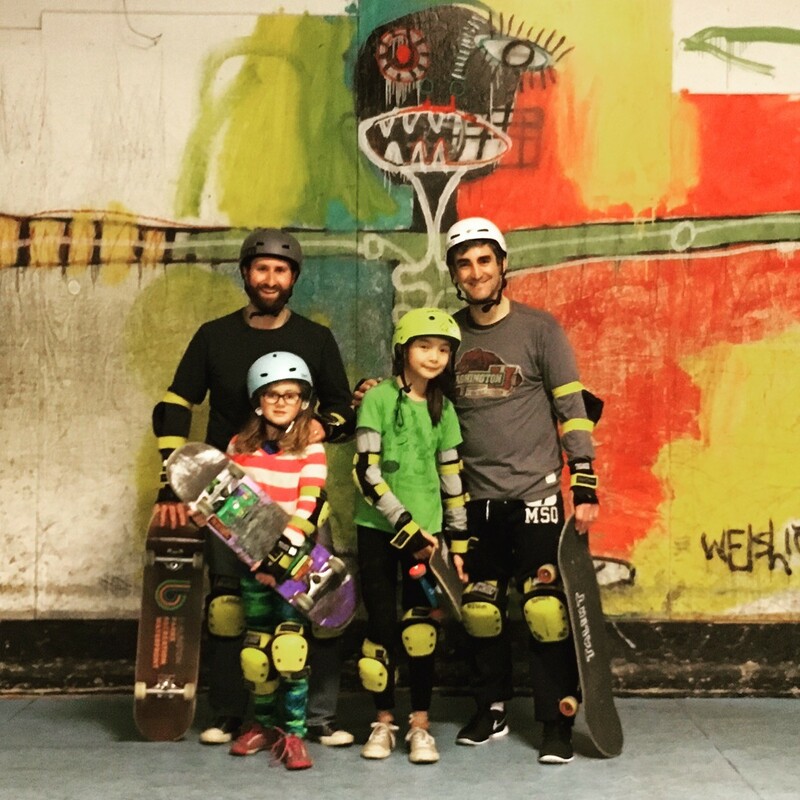 Weinberger got a taste for skateboarding last winter, when he took a few lessons at Talent Skatepark in South Burlington with his 10-year-old daughter, Li Lin, Burlington parks director Jesse Bridges and Bridges’ daughter. He acknowledged that his daughter is far more skilled on the skateboard than he is. Adept or not, his new hobby earns him a spot in the pantheon of politicians who participate in extreme sports. He’s joining the likes of Russia’s president, Vladimir Putin, who’s been known to hunt whales and drive race cars.